Published July 14, 2015 at 595 × 326 in Miltarism: an Ideology of Death. 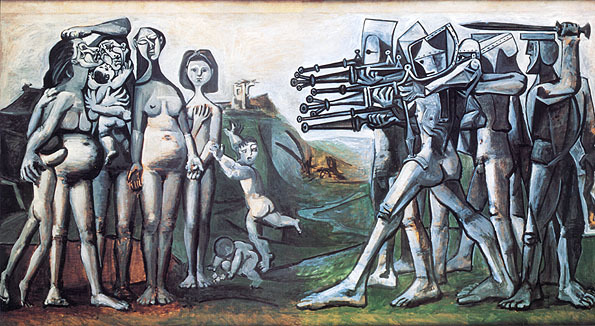 Massacre in Korea (1951) Pablo Picasso. A depiction of one of the massacres carried out on Korea civilians by US forces.